January was a fun month! We released our first barrel-aged beer, Rum Apple Apple (apple tripel aged in a Jamaican rum barrel). Survived our first double-batch brew day for Pillowfort batch #2. Finally got an upgrade to our gas line/meter (now we can brew beer and have heat at the same time!). We get it, most of you are hopheads. Currently our four fermentors are filled with pale ale, IPA, sour IPA, and DIPA! Snip Snap batch #2 just tapped yesterday (and won’t last long). Next week we’ll tap Cheater Hops #5 with Nelson Sauvin and Citra. This is our first batch using Cryo hops, which are processed by removing half of the “green” hop material to double-concentrate the aromatic oils so you can use half a much… or in our case use just as much as usual for a bigger aroma! We also have batch #2 of Pillowfort fermenting. The 10 gallon Vanillafort variant of the first batch was such a hit we’re going to make 150 gallons with nearly a half-pound of vanilla beans! 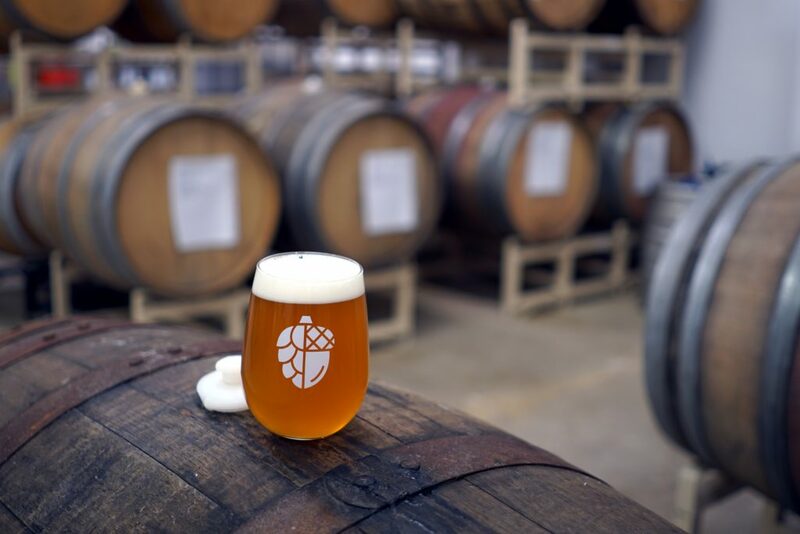 We have a bunch of weird and wonderful beers on February’s brew calendar like a hoppy apricot sour, and a strong sour red we’ll age in port barrels for next winter! Not to mention Rings of Light, Cheater Hops #6 (Simcoe-Mosaic-Motueka), a big stout, and a new DIPA with Citra and Mosaic! At this point we’re nearly maxing out the volume of beer we can produce without adding more tanks (not to mention cold storage and staff). While we begin fixing that, we’re going to start working to brew and CAN occasional batches at another local brewery. The first release should be mid-April, although we’re not sure exactly what recipe it’ll be (although certainly a hazy IPA or DIPA). January saw a bunch of excellent press from Good Beer Hunting (So, you opened a brewery. Now what? ), ArlNow (Living Up to The Hype), and It’s a Brew Life (Brewery Visit: Sapwood Cellars).